Lagos State Governor, Mr. Akinwunmi Ambode on Wednesday said that the fight against crime and all forms of criminality would be better enhanced if efforts are geared towards embracing community policing to complement the police and other law enforcement agencies. Governor Ambode, who stated this at the swearing-in ceremony of the Chairman and members of the Board of the State’s Neighbourhood Safety Corp Agency, said community policing was needed to assist law enforcement agencies which, according to him, are already over stretched judging by the enormous task of securing the country. Speaking at the ceremony held at Lagos House in Ikeja, Governor Ambode said right from the onset, the major thrust of his administration has always been the security of lives and properties of Lagosians, adding that the Neighborhood Agency, which was an initiative aimed at safe guarding the communities through community policing, was another testimony of the commitment of the State Government to the safety of lives and properties and a demonstration of a promise kept to all citizens. The Governor recalled the provision of security at the State level with the massive provision of equipment such as patrol vehicles, motor bikes, boats and helicopter on several occasions to police and other security agencies, saying that such had aided law enforcement outfits in the State in effectively discharging their duties. “You will agree with me that the Police and indeed all other security forces within the State and even the country at large are quite stretched, and some form of “community” or “local policing” is required to boost and support the great job the Nigeria Police is presently doing. “The creation of this Agency marks another step towards ensuring the protection of lives and properties at the grass root level. Corp members recruited by the Agency are meant to interact with the people at the communities. It is expected that with the visible presence of the Corp members within a particular community, the likelihood of crime will be drastically reduced,” the Governor said. He added that the Agency, which replaced the Neighbourhood Watch, has the responsibility of assisting the Police, and its mode of operation will essentially be in intelligence gathering, protection of lives and properties, maintaining law and Order amongst others. The Governor also said the Agency has been empowered pursuant to its enabling law, to recruit eligible persons as Corp members in all Local Government Areas of the State. He, however, emphasized that the Agency was not meant to compete, but to complement the efforts of the Police Force, adding that the State Government, through the Board, would develop clear policies and strategies for the implementation of the law. 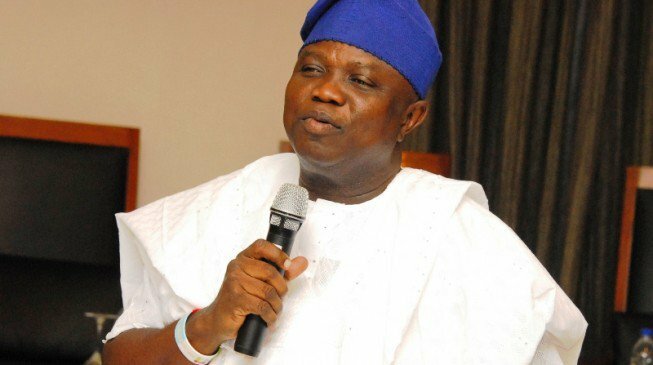 While reiterating the determination of his administration to commit resources to ensure success of the objectives of the Agency, the Governor said its realization would make Lagos a place where residents and all intending foreign and local investors can do business in safety and comfort. He also charged members of the newly inaugurated board to consider their appointments as call to duty, adding that the task making Lagos great and taking it to greater heights was that of all. Besides, the Governor commended the foresight, efforts and industry of the Speaker and members of the Lagos State House of Assembly for initiating the bill that culminated in the enactment of the Lagos State Neighborhood Safety Agency Law 2016, saying their intellectualism in sponsoring the bill and the proactiveness in considering the passage of the law was admirable. Members of the Board are Mr. Israel Ajao (Chairman), Alhaji Tajudeen Quadri, SP Yinka Egbeyemi, Mr. Razaq Balogun, Chief Tunde Aboyade, Mr. Ishola Laguda, Mrs Kofoworola Adegboye, Mr. Dengel Anifowoshe, Mrs. Ronke Ogabi, CSP Suleiman Lewi, Mr. O. Eziana and Mr Adegboyega Bajulaiye who will serve as Executive Secretary. Responding, Ajao who was a former Commissioner of Police in Lagos and Ogun States and DIG in charge of Criminal Investigation, said he had no doubt as to the passion and commitment of Governor Ambode to safety and security, adding that members of the Agency would hit the ground running towards the set objectives. 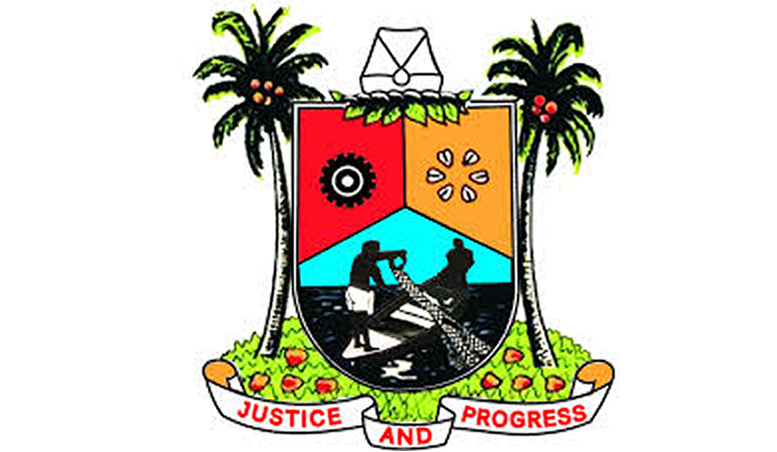 He said considering the complexities of Lagos being home to Nigerians and foreigners from all works of life, the Agency would contribute its quota towards realization of the objectives of making Lagos a safe place for residents and investors. The event was graced by the State’s Deputy Governor, Dr. Mrs Idiat OIuranti Adebule; Deputy Speaker of Lagos State House of Assembly, Wasiu Sanni Eshilokun and other principal officers of the House; members of the State Executive Council, party chieftains, among others. 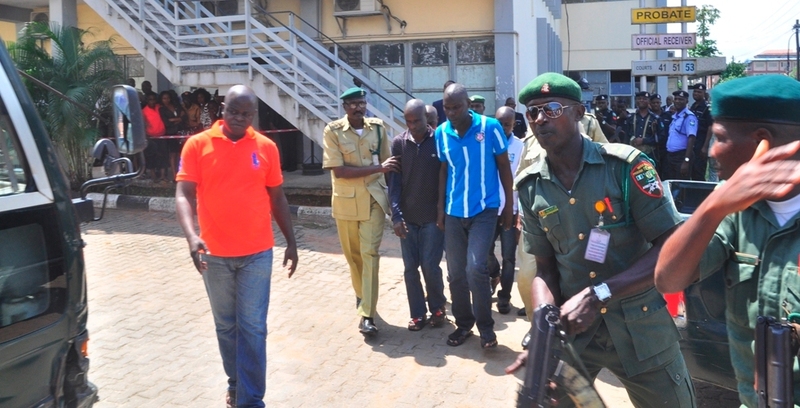 The Lagos State Government on Monday arraigned the key suspects arrested in connection with the kidnap of Oniba of Iba Town, Oba Yishau Goriola Oseni before a Lagos High Court in Igbosere. 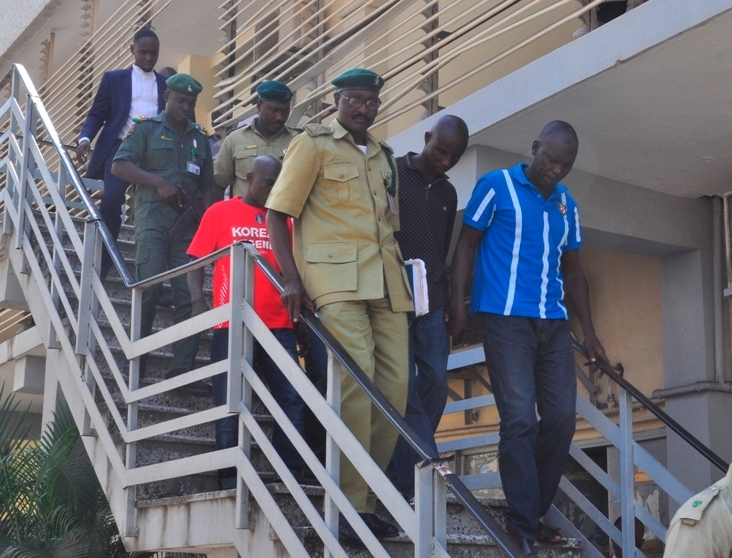 The suspects – Duba Furejo, Ododomo Isaiah, Reuben Anthony and Yerin Fresh were arraigned before Justice Oluwatoyin Taiwo on an eight-count criminal charge of conspiracy to murder, murder, armed robbery and Kidnapping. The suspects, who allegedly carried out the crime on July 16, 2016 at the palace of the monarch, were said to have murdered a security detail attached to the palace, Sunday Eniola Okanlawon, and a commercial motorcycle rider, Joseph Okeke. They were also said to have attempted to kill the monarch’s wife, Olori Abosede Oseni while making efforts to dispossess her of her property at gun point. The arraigned suspected kidnappers of Oniba of Iba at the Lagos High Court, Igbosere – Duba Furejo; Ododomo Isaiah; Reuben Anthony and Yerin Fresh, on Monday, October 24, 2016. When the case was called, the State’s Attorney General and Commissioner for Justice, Mr. Adeniji Kazeem, who led the prosecution informed Justice Taiwo of a criminal charge filed against the accused, and expressed his readiness to proceed with arraignment, a request which was granted by the court. In count one, Furejo, Isaiah and Anthony were accused of conspiring with others now at large to commit murder contrary to Section 233 of 2015 Criminal Laws of Lagos State C.17, Vol. 3, while in counts two and three, the suspects were accused of murder contrary to the same law. In count four, the accused allegedly attempted to kill the wife of the monarch contrary to Section 230 of the law, while in count five, the accused with others now at large, conspired to rob Olori Abosede of her mobile phone. In count six, the suspects were accused of armed robbery contrary to Section 297 (2) (b) of the law, while in counts seven and eight, they were said to have conspired to kidnap Oba Oseni at gun point contrary to Section 411 of the law. After the charges were read to them, they all pleaded not guilty, while the Attorney General urged the court to remand them in prison pending trial. Justice Taiwo, in a brief ruling, remanded the accused in prison and adjourned the matter to November 4, 11 and 18, 2016 for trial. The first, second and fourth accused persons were represented by Seliowei Baidi, while the third accused was represented by J.0 Eguaroje. While answering questions from journalists at the end of proceedings in court, the Attorney General said the arrest and commencement of prosecution of the accused persons in record time of less than sixty days was a clear signal of the readiness of Governor Akinwunmi Ambode’s administration to rid the State of all forms of criminality. Kazeem, who reiterated the zero tolerance of the State Government for kidnapping, said he would be personally involved in the prompt prosecution of the case, adding that Governor Ambode is totally determined and committed to make the State a safe place for investors and residents. Meanwhile, the State Government has listed Oba Oseni as one of the ten witnesses to testify against the accused persons. It would be recalled that the monarch, after being whisked away by his abductors and kept in captivity for about three weeks, was rescued by the sustained pressure and intelligence gathering from law enforcement agencies. Other witnesses are Oba Oseni’s wife, Olori Abosede; Prince Kazeem Oseni, Dr. F.I Osuolale, Sgt. Ademoh Raheem, Supol Keichalla Ali, Sgt. Dele Ojo Odunayo, Sgt. Akingbolu Tosin, Sgt. Abubakar Suleiman and Sgt. Briston Mimurod.